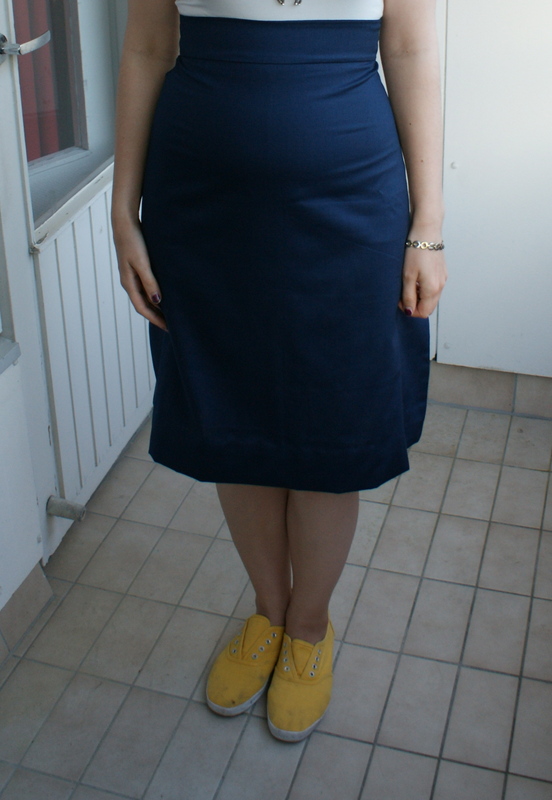 After making the blue silk blouse I posted about last time, I started wondering what else could be made with a similarly (ridiculously) simple pattern. 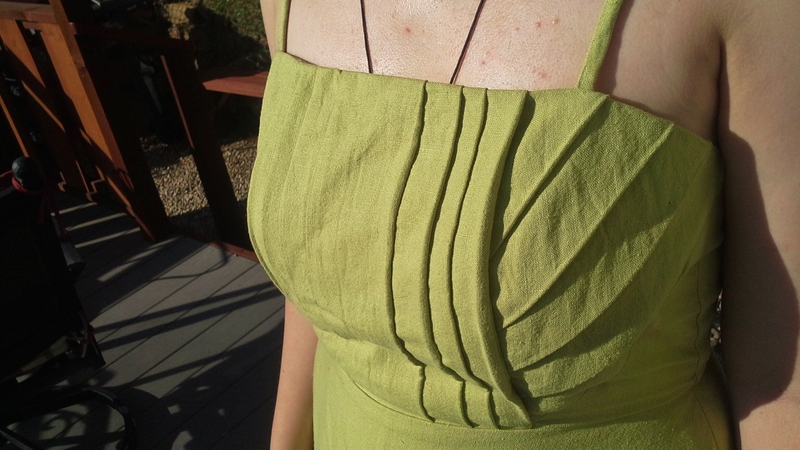 In hindsight the outcome would’ve been better with a drapier or stretchier fabric, but… oh well. 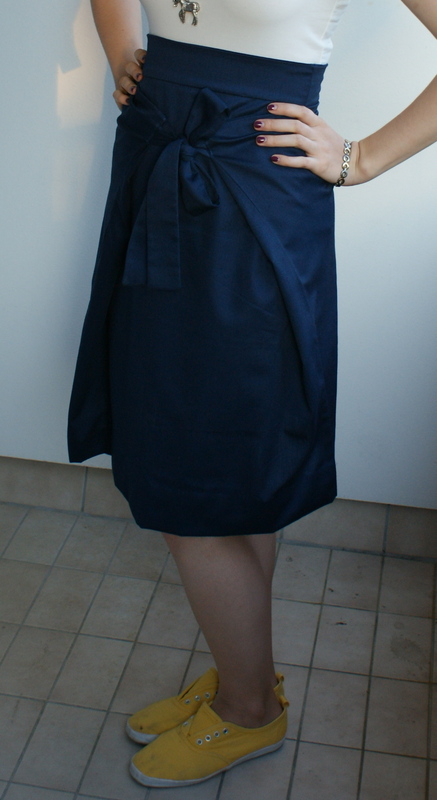 As you can see, it’s just a rectangle with ties (I made mine asymmetrical so that the knot wouldn’t be exactly in the centre). 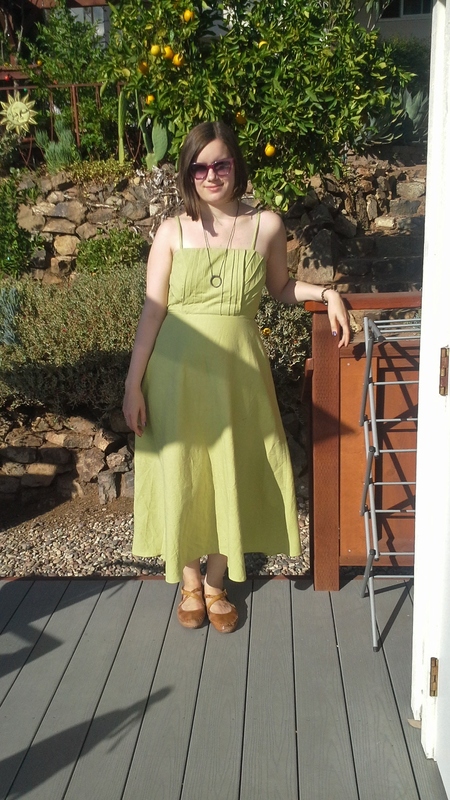 You can tie the straps to the front or to the back, loose or tight, so this is a nicely versatile piece of clothing. 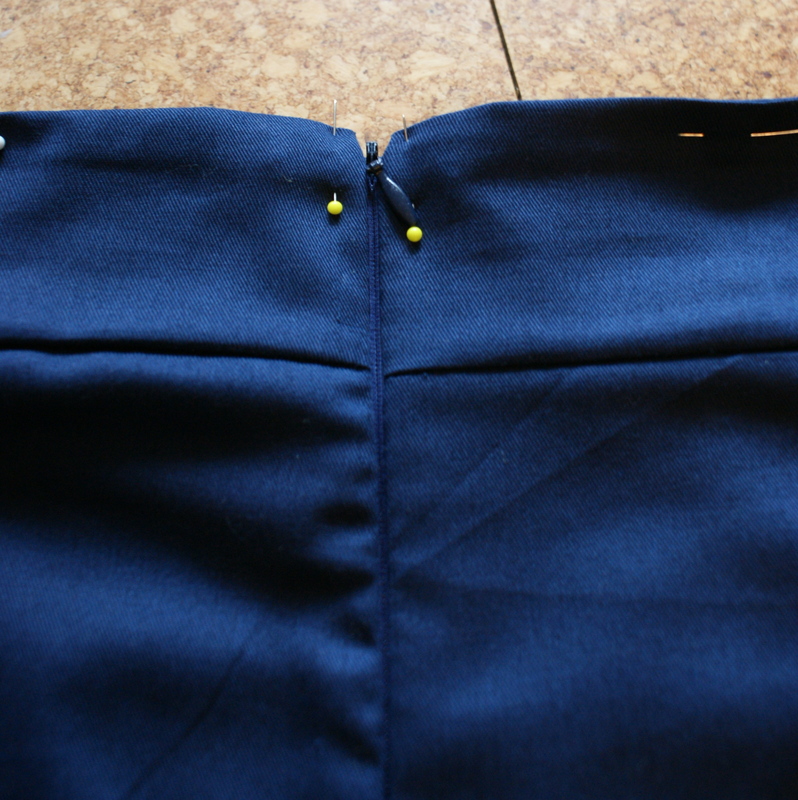 In addition to fabric you’ll need a zipper. 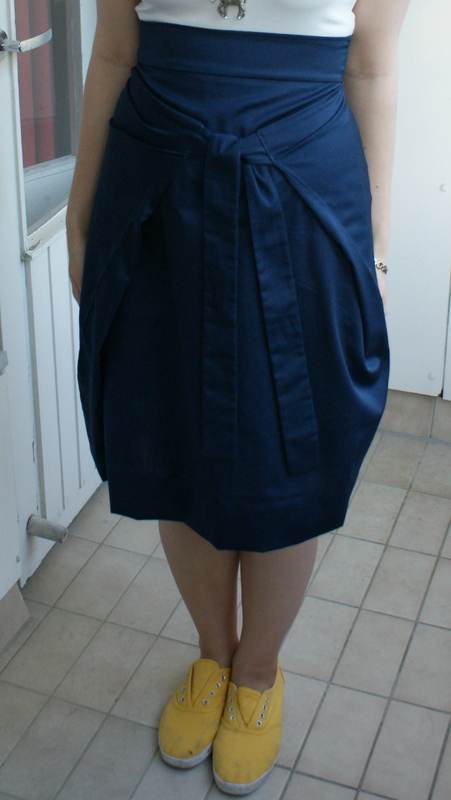 The amount of fabric you need and the length of your zipper will depend on your size, but for reference I used about 1,5 m of fabric and a 30 cm invisible zip. 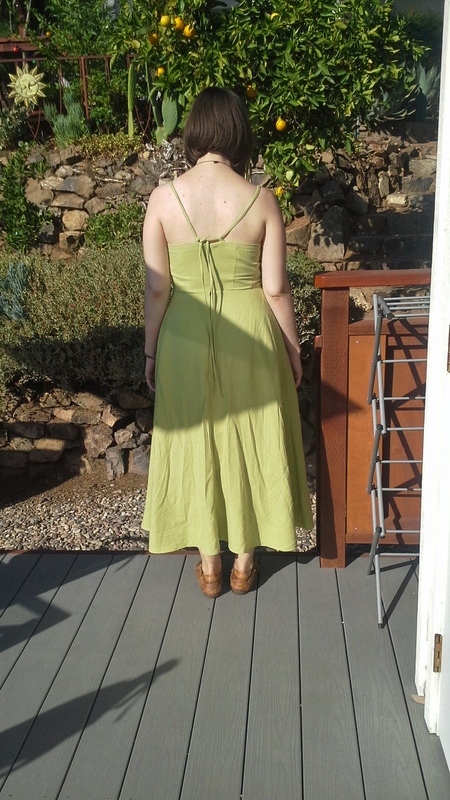 Add a little more seam allowance to the sides of the back piece than to the front one, since it will have a seam in the center (or slightly to the side if you go asymmetrical like me). 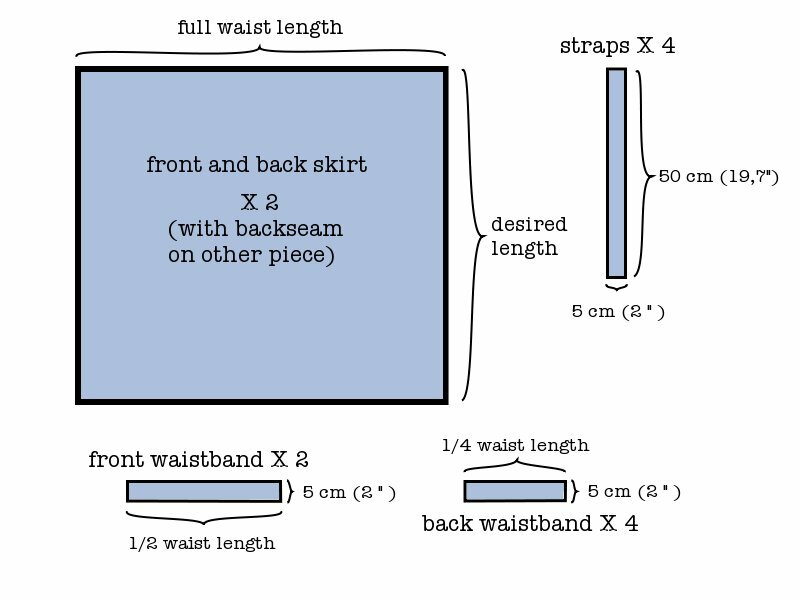 If you’re cutting the front and back pieces at the same time, from a double layer of fabric, remember to cut the back piece in half afterwards. 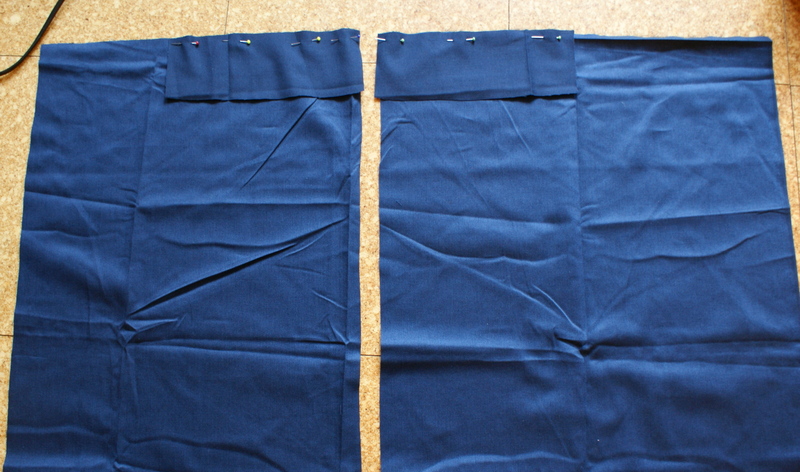 Start by sewing and turning the straps as shown below. 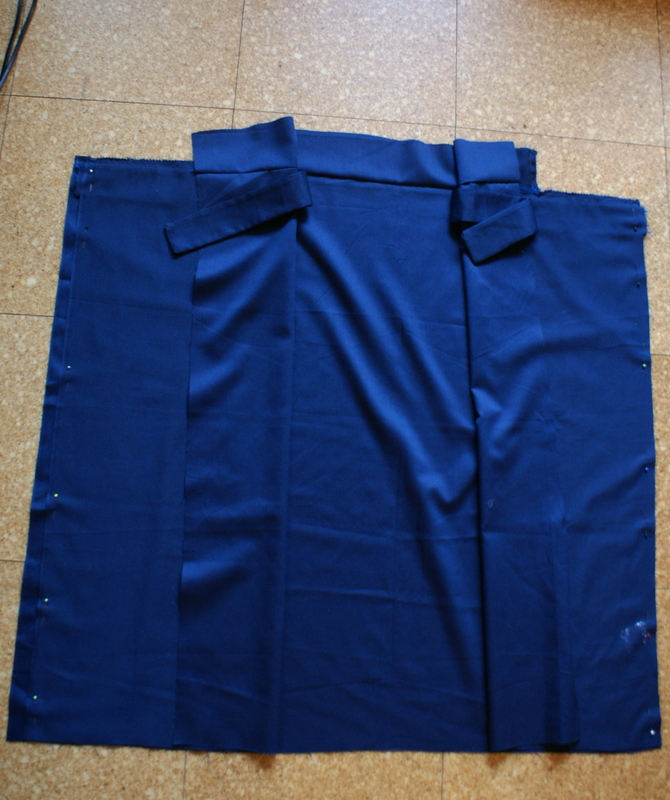 After this, pin and sew the back and front together, but don’t do anything to the side seams at this point. 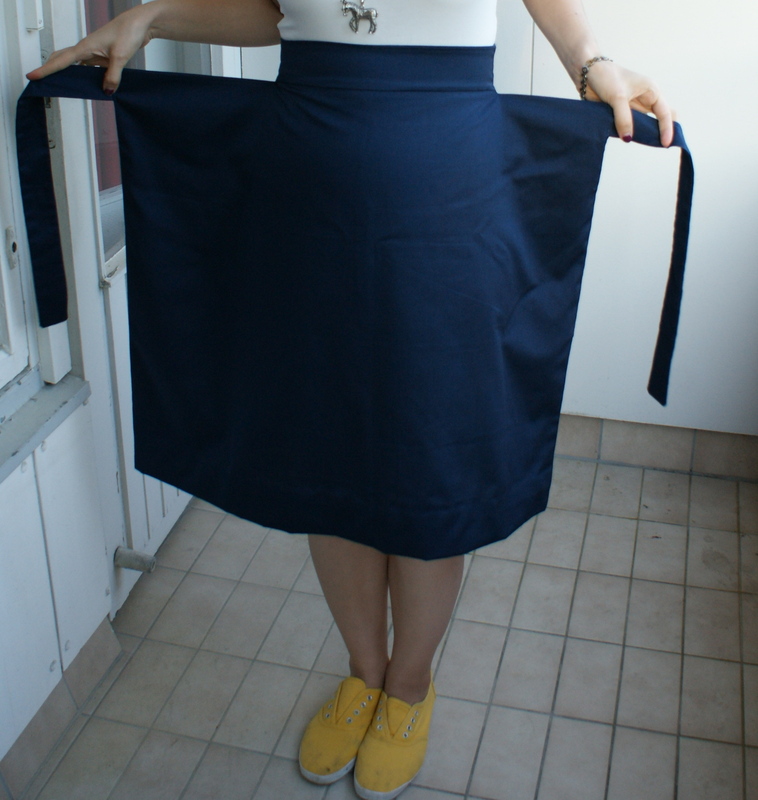 And remember, when you eventually turn the skirt, you’ll have to snip a bit at the corners next to the waistband to get the thing turned nice and neat. 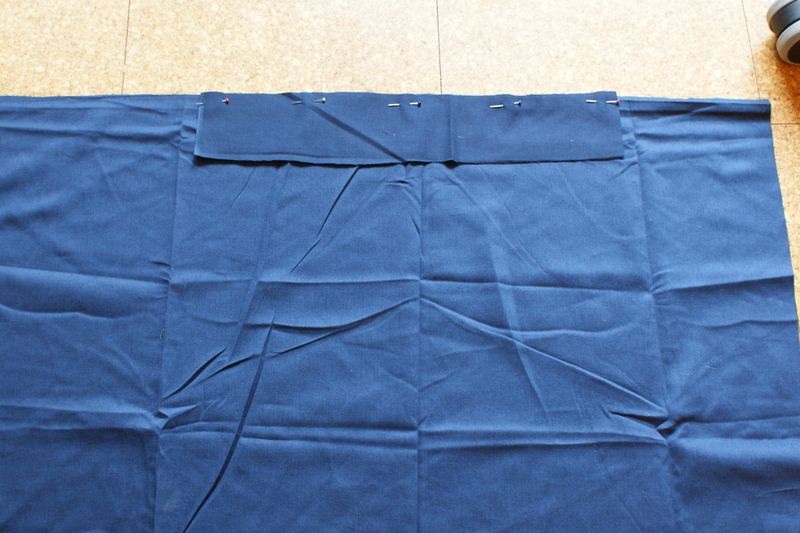 Next, sew the side seams, making sure that the straps are sandwiched between the front and back pieces. 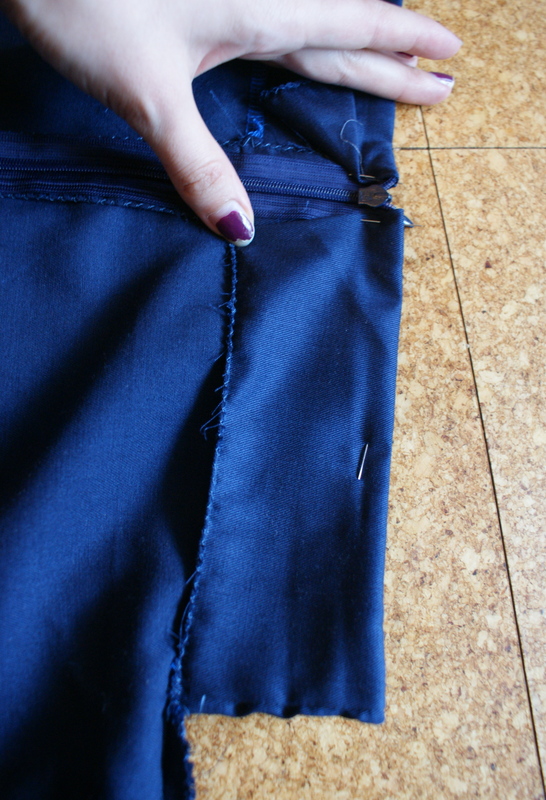 Then, sew in the zipper. 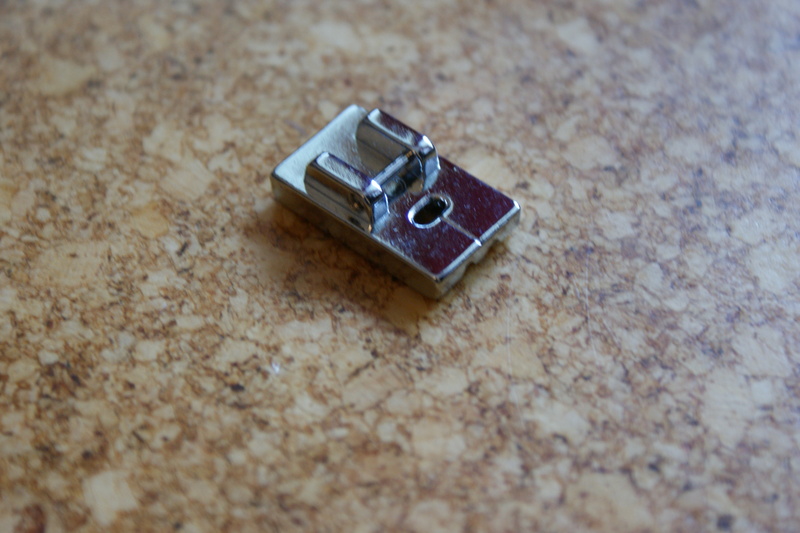 I used an invisible zipper presser foot to sew in my zip — something I’ve never used before, but it worked phenomenally well. 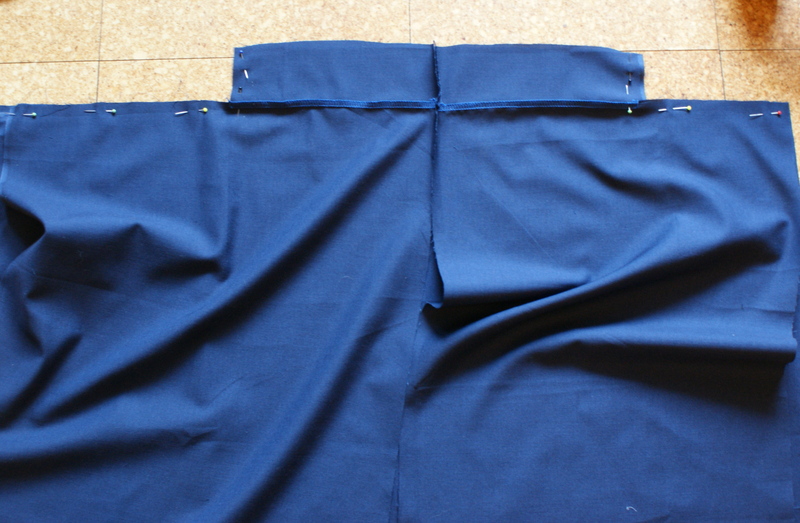 After sewing in the zipper, sew up the rest of the back seam (unless your using a normal zipper, then I guess you can do it in the order you prefer). 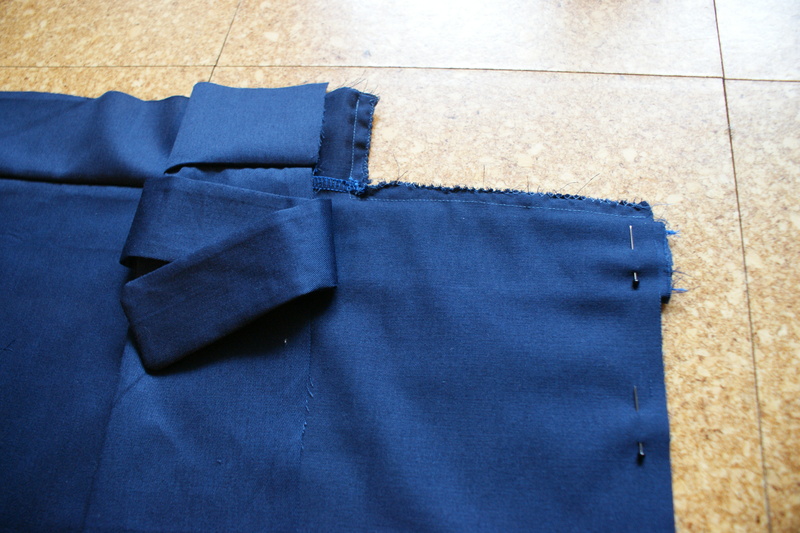 Now pin and hem the hem (man that sounds silly).